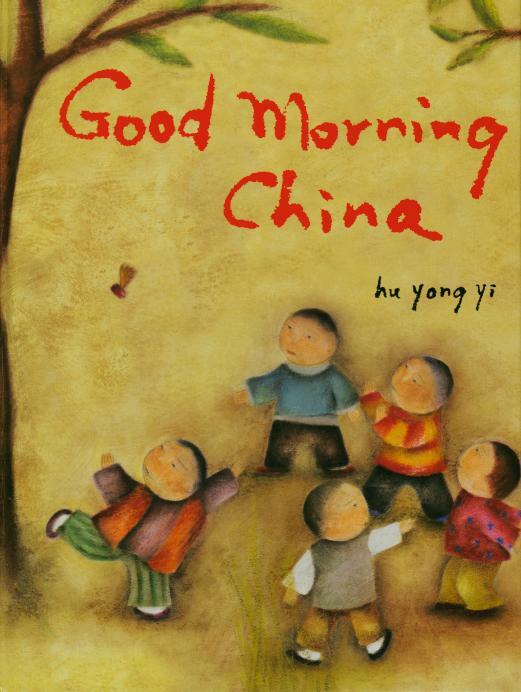 Good Morning China is a lovely children's book published by Roaring Brook Press in New York. 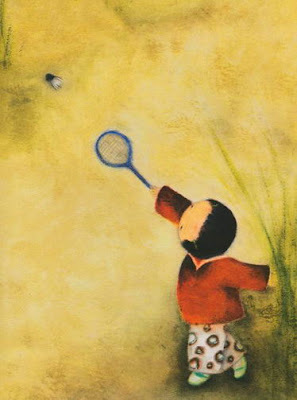 Hu Yong Yi is the artist who has done beautiful work with the illustrations. 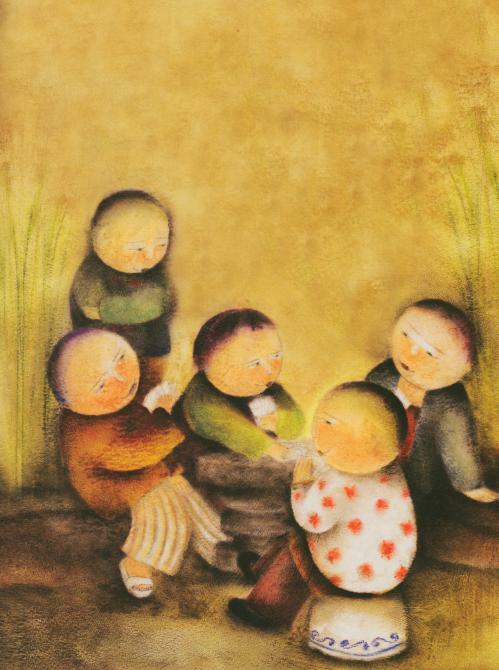 Each illustration or painting shows children having fun in the park, all busy with their different activities. 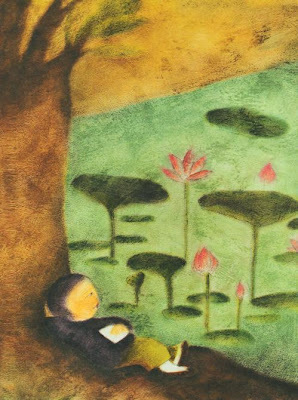 It's a very gentle book and I love looking at these serene pictures. Hu Yong Yi has a website where you can see more of her lyrical paintings. How "soft" and comforting these illustrations are.